1938, the South Seas: Japan has invaded China. War in Europe is imminent. 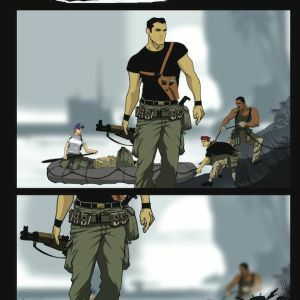 And, in THE MERCENARY SEA, a new Image Comics graphic novel by Kel Symons and Mathew Reynolds, ex-bootlegger Jack Harper captains the Venture, a refitted German U-Boat, with a crew of expats, mercenaries, and treasure hunters. 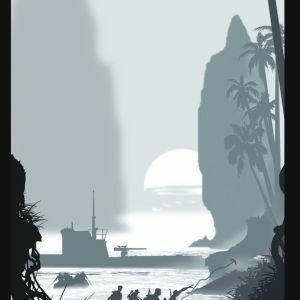 In the September release, this rag-tag group of ruffians and renegades will do whatever it takes to stay afloat, often running up against pirates, headhunters, spies, and soldiers. 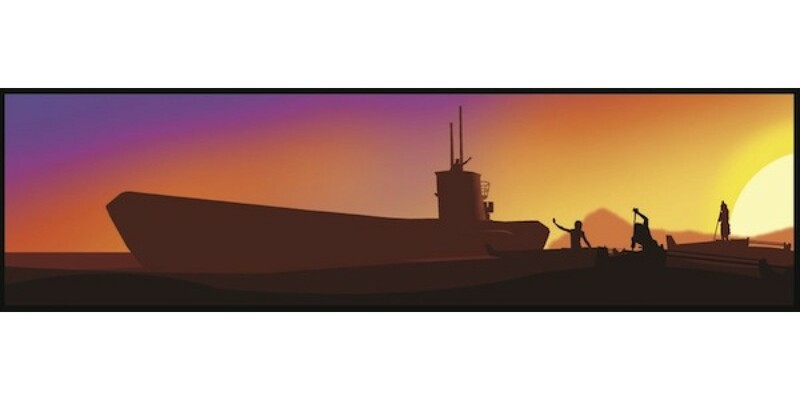 In VOLUME ONE: TOP HAT, WHITE LIES, AND TALES, Jack and his crew take a job offered by a shady operative: rescue a British agent carrying valuable intelligence about the Japanese war effort. 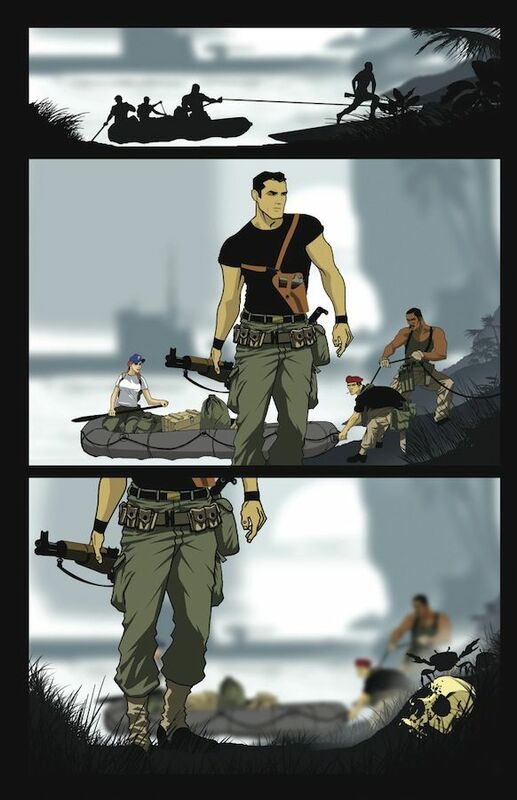 Meanwhile, Jack dreams of landing the greatest score ever: the legendary lost island of Koji Ra. 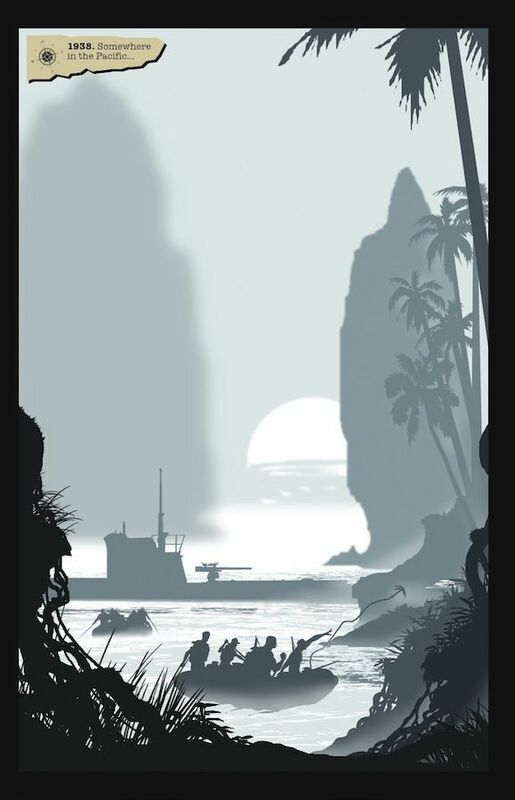 Inspired by classic adventure films like King Kong and Only Angels Have Wings, THE MERCENARY SEA draws upon the mystique of the era, with artist Reynolds heightening the action with cinematic, stylized art bathed in rich colors. 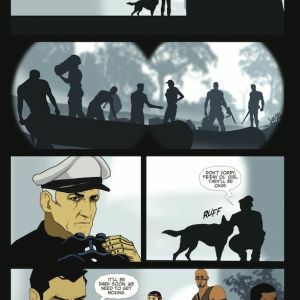 A graphic novel for history, cinema, and adventure buffs, THE MERCENARY SEA delivers fascinating characters, exotic locales, and rollicking adventure. 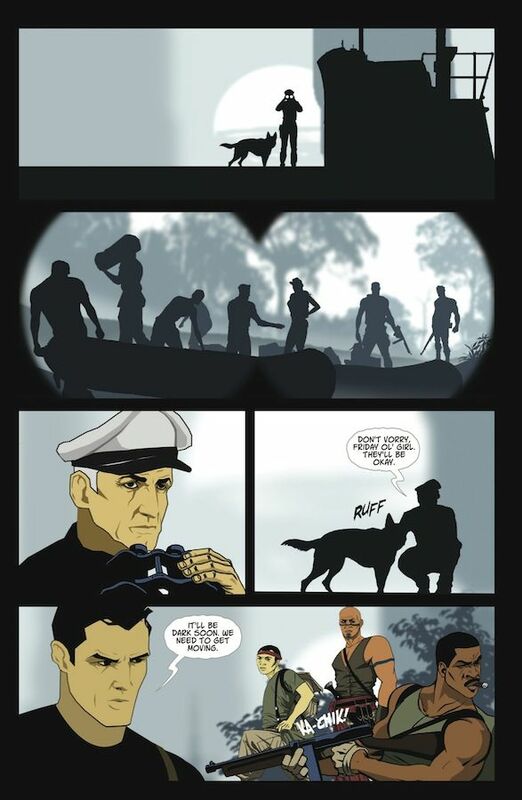 It will be in comic book stores on September 3 and in bookstores on September 16.